A man named Bill is diagnosed with a terminal illness which is never specified during the film, but it doesn't need to be. Does specificity matter once the word terminal has been invoked? We follow the struggles faced by Bill as he deals with seeing the world through this new perspective. We see various memories from Bill's past, an unsettling childhood, a history of mental illness that surrounded his upbringing. These memories are quite twisted and literally unbelievable, so perhaps they are not accurate representations of what Bill really went through, but does it matter? These are the memories Bill now carries with him, what he is forced to believe once truly happened, so whether fact or fiction their burden is still felt by Bill. We feel it too, the weight of what happened once to Bill and even more so what is happening to him now. We feel it, and we care deeply for this man. Oh, I forgot to mention. Bill is a stick figure. The only way to discern Bill from the other characters that appear throughout this film is his hat. That, and the anguish he feels as he copes with his illness, his symptoms, the reality of his situation. The fate that approaches him, which he can do nothing about. How can we see the pain felt by a stick figure? How can we appreciate his situation when he has so little features to demonstrate this? 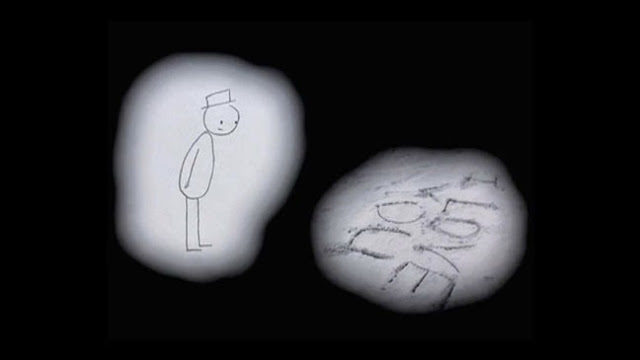 The answer to these questions is the biggest compliment you can pay to Don Hertzfeldt, the man who crafted this beautiful little gem of a film and also serves as the narrator that takes us on Bill's journey. 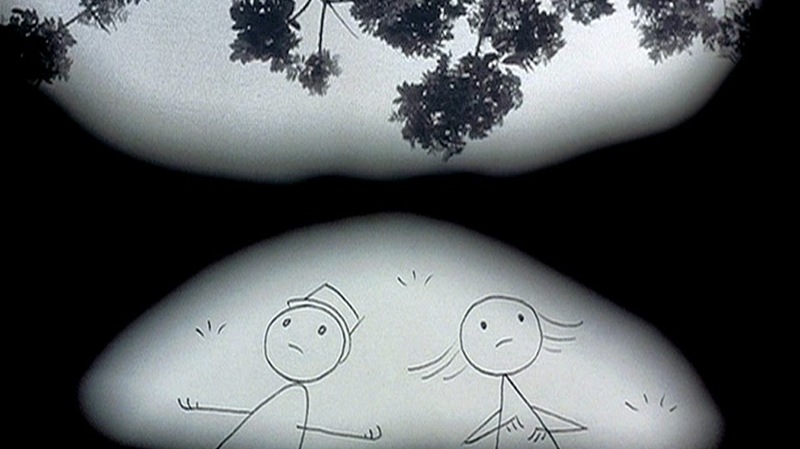 Roughly an hour long, It's Such a Beautiful Day is actually a feature made up of three shorts seamlessly edited together. The storytelling can be jarring as we go from the present to the past suddenly and unexpectedly, but that seems intentional and important given the nature of the narrative and the mind of the man we are following. You may not take this film seriously at first glance, and I don't blame you. Honestly, even with the incredible reviews and high praise I encountered to learn about this movie, I don't think I expected it to live up to any lofty expectations such things typically set. I went in thinking, an hour of a stick figure? How great can this really be? So, so great. So profound. Such a unique cinematic experience, one that is now available on Netflix streaming. If you subscribe to the service, set aside an hour, sit down and experience the type of film you have surely never experienced before. I never thought such crude, drab animation could be so life affirming, sobering and deeply tragic. It's such a beautiful film. It is a remarkably unique experience, do check it out and let me know what you think.